A secure and streamlined asset management system with great hardware. Wasp asset management’s hardware and software solutions work in tandem to keep any size of business aware of its assets’ locations and conditions at all times. Notable benefits of the system include an easy-to-use interface, robust role-based security, and a centralized dashboard that ensures all data is collected in a quickly searchable location. Founded in 1994, the Wasp Barcode Technologies company offers both hardware and software solutions for two main industry categories, asset management and inventory tracking. While we’ll be focusing on Wasp’s asset management software and hardware in this review, its easy to maintain inventory tracking through a single dashboard on Wasp, making them a strong choice for businesses that need to manage inventory alongside their assets. The Wasp asset management system, dubbed Wasp AssetCloud, can be used by all sizes of business in a variety of industries and use cases. It can track and manage equipment, tools, and IT assets as well as manage funds and mandate compliance. Industries that can benefit from the system include agriculture, banking, construction, energy, healthcare and manufacturing, as well as any small business with a warehouse. The asset management system is available both as a cloud-based service and as a more expensive on-premise, installed solution. If you’re a mid-size operation just graduating from pen-and-paper spreadsheets or if you’re a larger business hoping to consolidate your management processes, Wasp Asset Management could be the right choice for you. This review will consider this asset management solution’s core features and benefits, the support team it offers, and the price plans through which it is available. Managers can track all their assets through the Wasp AssetCloud dashboard, which collects all the information you’ll need from the service into a centralized location. From the left-hand sidebar list, managers or other users will be able to find their assets, past transactions, audits, reports, and users. Clicking each section opens up more specific options: Open up “View Assets,” for instance, and you’ll see a master list that’s searchable by tag number, description, type, category, or site location. This reliable speed of access makes every asset managing task and ability quicker, saving managers valuable time and keeping an operation running smoothly. Access within the software can be defined on a need-to-know, user-by-user basis. A new hire won’t need to see as much information as a shift manager, and a shift manager won’t need the same security permissions as a owner/operator. Managers will be able to set or update the user permissions for each account from a single location, using Wasp’s enterprise-grade role-based security setup. Managers will be able to quickly generate reports through Wasp AssetCloud. For starters, they’ll be able to pick from a selection of report templates, or simply build their own custom report. Once established, the report will collect and compile data from scanned assets across the company, turning it into regular reports that can help managers visualize their company’s efficency, and easily spot opportunities to streamline their operations even further. 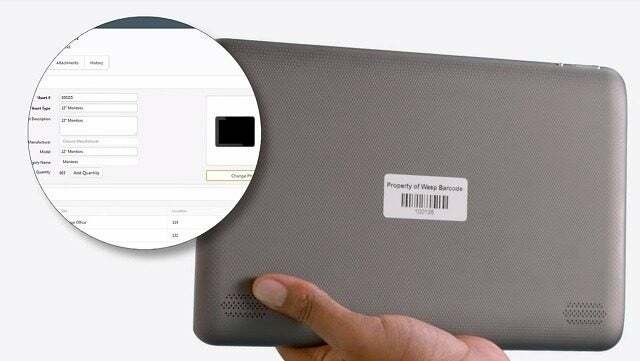 Barcode scanners — at the core of Wasp’s business model, handheld barcode scanners are what asset and inventory managers need at all times, ready to log an asset’s location at a moment’s notice. Available in long-range, wireless, and/or with a pocket computer and screen included. Barcode printers — A variety of sizes and types of printers are available, from medium-duty desktop versions to heavy-duty industrial behemoths. Barcode accessorises — Printer cleaning pens, scanner charging bases, bluetooth adapters and extended service plans are just a few of the accessorises available. Mobile computers — these hand-held computing devices let their users input information about their assets on the go. 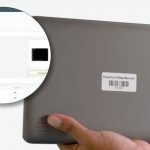 There’s a lot of crossover with barcode scanners, as most mobile computers can scan as well. Wasp’s asset tracking software will log which assets are purchased, and with what funds, ensuring that managers can keep their tax paperwork straight and know their financial situation at all times. Yearly audits can be automated, saving additional time and resources. Any additional documentation can be attached to each fund within the software system as well. Wasp asset management software is available through an iOS or Android mobile app as well as desktop. Granted, some customers have experienced crashes while using the mobile app on newer phones, and have mentioned seeing some lag that was only resolved by reloading the app. If you’re truly glued to your smartphone and always on the move, this may give you reservations. Still, having a functioning mobile app offers additional flexibility, which is only a good thing. 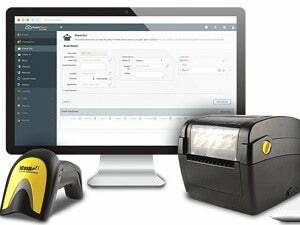 The Wasp mobile computer offers a handy way to scan barcodes and wirelessly transmit the data in real time, perfect for office or warehouse use. Powered by Android 6 Marshmallow OS, it offers a USB functionality and comes with accessorises including a rechargeable lithium-ion battery, AC/DC power adapter, and one-year warranty. Wasp offers online training sessions and online video tutorials to their paying customers, available through a support center on their website. Customers on any paid plan tier will have access to the Wasp technical support team through email, phone or live chat from 9 a.m. until 6 p.m. CST. Support tickets can also be submitted through the website. On-site training services are available at an additional cost. Wasp asset management software is available for a free demo, with no strings attached. Wasp doesn’t reveal their full asset management pricing structure online, instead allowing interested customers to request a customized quote based on the number of a customer’s sites, users and assets tracked. However, they do reveal their starting prices, which offer a window into the general amount businesses can expect to pay. The Wasp AssetCloud cloud-based asset management system starts at $995, with a rising price depending on the number of users (tiered pricing brakes are also based on number of users) and greater discounts for multi-year commitments. Wasp AssetCloud’s on-premise system comes in three tiers: Standard, Professional, and Enterprise. The Standard plan starts at $595 but only supports two users. The Professional plans starts at $2,295 for up to five users, and the Enterprise plan starts at $4,295, for unlimited users. If you’d like to receive quotes from Wasp’s leading asset tracking competitors, the answer’s quick and easy: Just fill out Tech.Co’s minute-long survey and receive the quotes you need to make an informed decision. Wasp’s asset tracking technology comes with a core functionality that covers the basics that most companies care about: It’s fast and understandable, it automates reporting and auditing needs, and it comes with strong role-based security settings. Wasp’s comprehensive and high-quality hardware selection is worth mentioning as well. It’s a dependable and recommended choice for small and large businesses alike. to other leading asset tracking providers.